You really have an awesome stuff ISD, I especially like the signed vinyl. As for glasses I will send you personal message so we don't ruin your topic :). 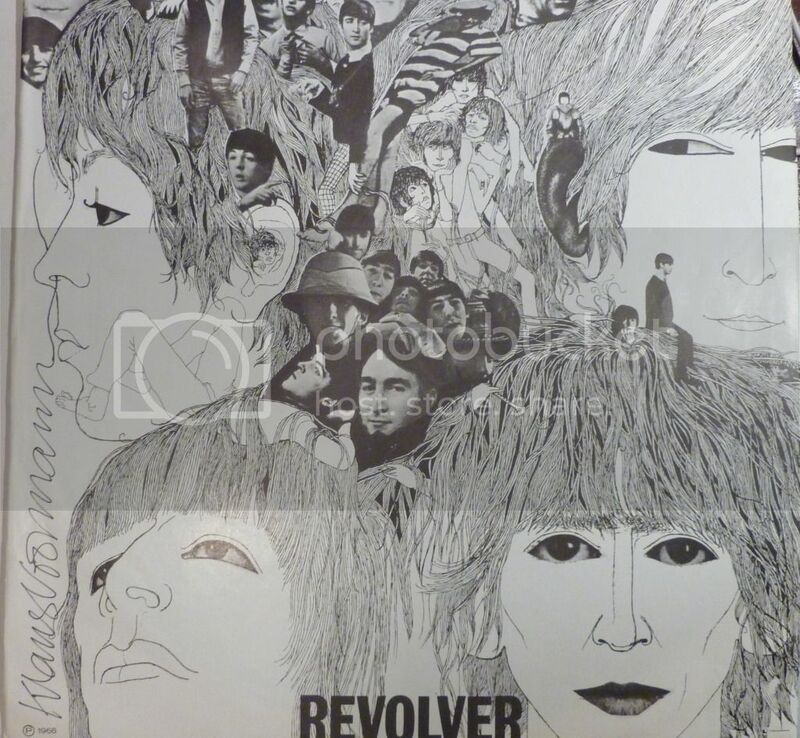 .... and speaking of Revolver , Klaus Voorman, etc... this is a fun piece. Check out the left hand side: K Voorman has signed his art work "through" Paul's nose. Yeah ... I got a kick out of the way he signed it. 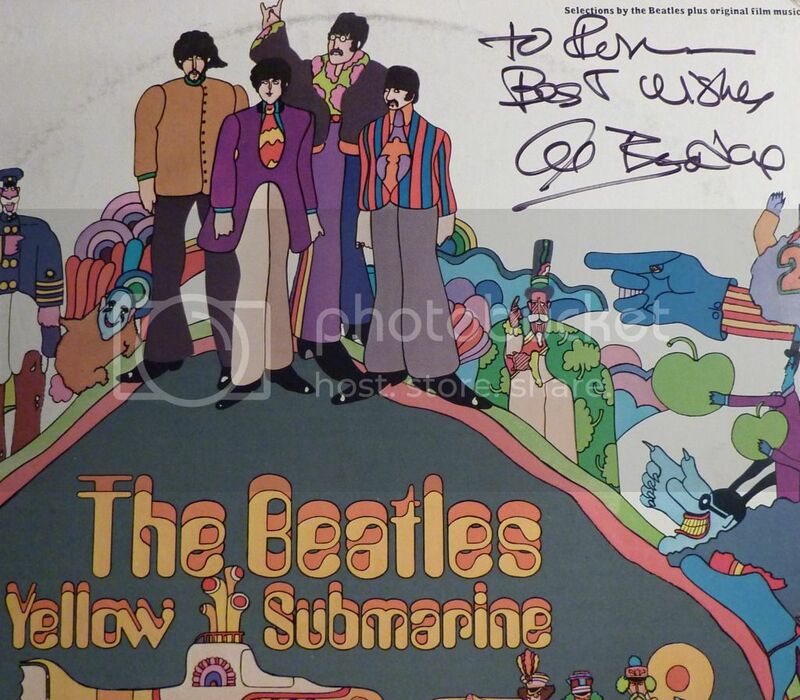 A number of years ago, I went to hear Al Brodax speak (producer of Yellow Submarine ). I was curious to know why "Hey Bulldog " was cut from the movie. "Too long for American audiences" answered Brodax. I didn't dare ask, "then why not cut "It's All Too Much "?" since by the end of the movie I kinda felt like it was indeed all too much. But later came the answer: When asked which Beatle he felt closest to, Brodax answered "Harrison." 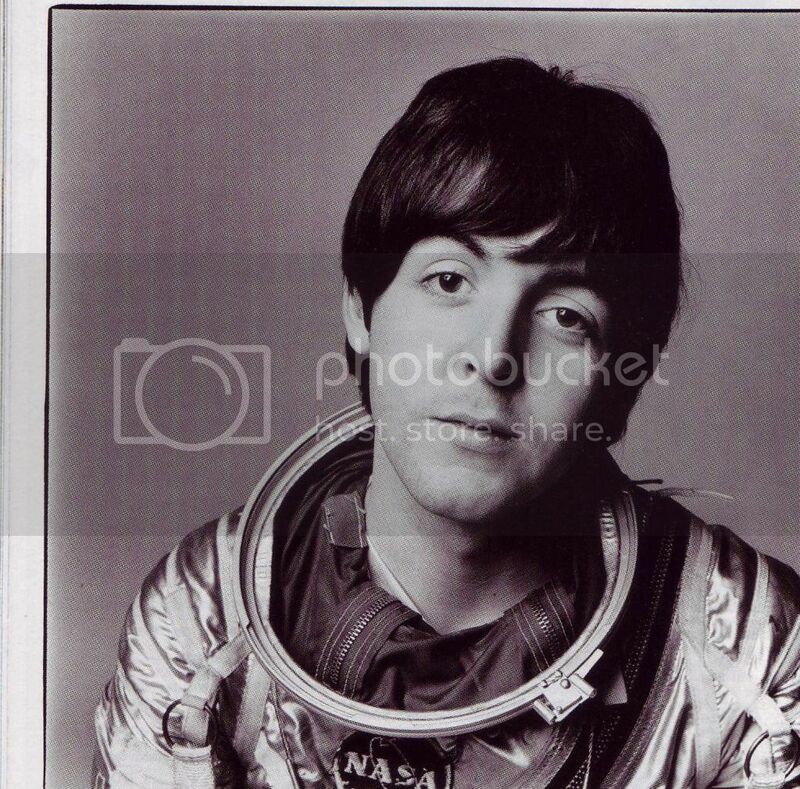 Wow, McCartney uses a great Apollo 8 story in his support for Arctic animals. 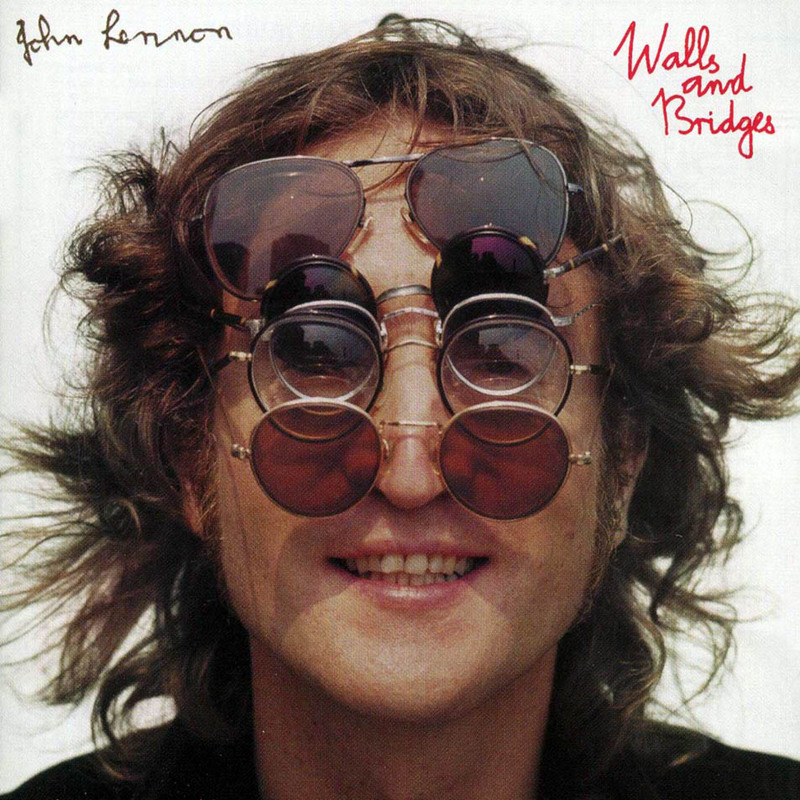 "I'm guessing he was disinclined to cut a song from his favorite Beatle. (Anyone think that was the right song to cut from the movie?)" I think it's unfortunate they had to cut ANY song from the movie just to ensure that it'd be under 90 minutes, the better to enable American cinemas to allow more daily showings! Especially a great song like "Hey Bulldog ". (And yet there's time enough for TWO repetitions of "All Together Now ", the most insubstantial of the four new songs! IMO.) But dramatically, I think cutting that sequence makes sense. If I recall correctly (haven't screened my YS DVD in several months), the "Hey Bulldog " sequence comes after the triumphant "All You Need Is Love " sequence and feels kinda superfluous as a result. Maybe the producers COULD have gone through the entire movie and trimmed enough 30-second bits to tighten it up just enough, but I wouldn't want them cutting any of my favourite lines! What made it funny in 1964 but doesn’t seem so funny today? This scene is similar to the one in which the Beatles are boarding a helicopter. The door closes to reveal the letters “TLES” – thus BEATLES. So what? The helicopter has their name… What’s the big deal? 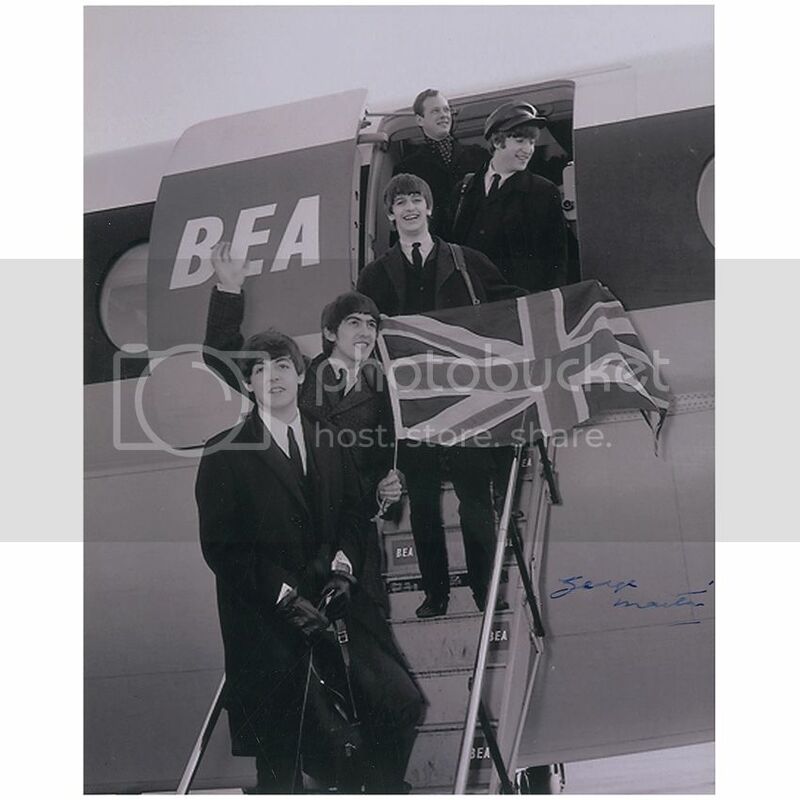 When A Hard Day’s Night came out, bands didn’t have their own chartered aircraft. More significantly, Britain had two major international airlines: BOAC (“Flew in from Miami Beach BOAC”) and British European Airways known as BEA. Thus the BEA seen in the picture was assumed by the viewer to simply be a BEA helicopter, especially since it’s written in the BEA font. When the helicopter door closes, the viewer got a bit of a chuckle from reading BEATLES. All of this would be lost on today’s viewer. Fortunately, it’s but a minor point. Neil Armstrong was a hero. But not for the reasons you might think. Yes, he was the first man on the moon. In my book, he’s hero for his decision never to cash in on that fame – and Lord knows he could have! He was fully aware that his claim to fame had little to do with his being an extraordinary astronaut. Yes, he was an extra-ordinary person, but so were all the Apollo astronauts. The luck of the draw made him Commander of Apollo 11, and a fortuitous string of events made Apollo 11 the first mission to attempt a Moon landing. I saw him on Dancing With The Stars, and he was a pretty cute old person, who was also an inspiration to many people and will forever be remembered. Rest in peace, Neil Armstrong, and may his family find strength in this difficult time. When I first heard of Mr. Armstrong's passing, my first thought went to you, Ron. Of course, my condolences go out to his family, friends and the rest of those who knew him best. To you, this must be equivalent to losing a Beatle. My condolences go out to you as well, my friend. Zig said, "To you, this must be equivalent to losing a Beatle." Thanks, Zig. I hadn't thought of it that way; but you did get me thinking. I am indeed very sad, and when I heard the news yesterday it was a total shock and quite a sad one. The analogy with the Beatles is a good one, for the Apollo astronauts and the Beatles represented two sides of the same coin: remarkable adventures one right after another for an entire decade. The difference was that John and Paul and George and Ringo were irreplaceable, each one for a different reason. Armstrong was replaceable. Had he been sick in July 1969, then Jim Lovell would have replaced him (and, as we know from his Apollo 13 travails, would have done a great job). 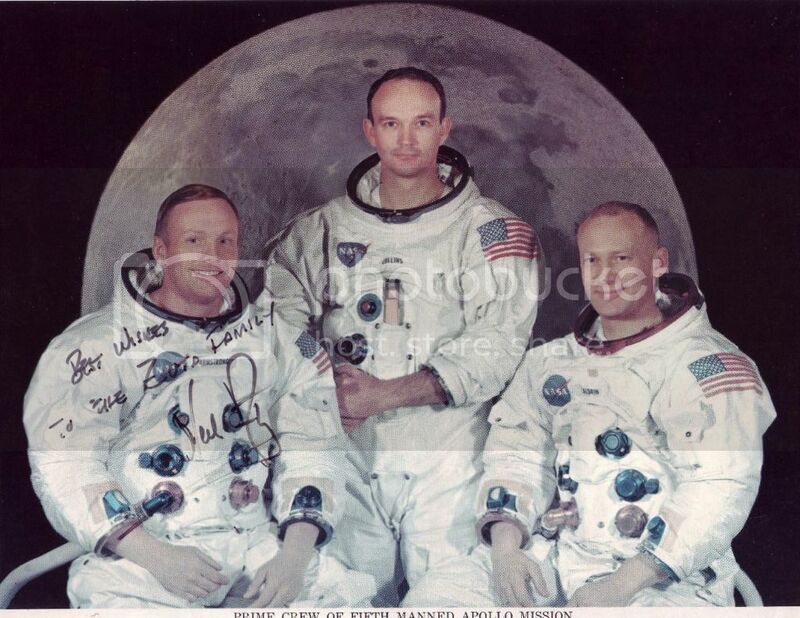 But Armstrong instantly became and has remained the figurehead of all the Apollo astronauts. So his passing in many ways extinguishes that light. I'm thinking of the flag on the Moon being at half mast tonight. I also think Armstrong should be buried at the Arlington National Cemetery in Washington with (eventually) the names of all the Apollo astronauts. Unknown said, "I saw him on Dancing With The Stars"
Buzz Aldrin (Armstrong's co-Moon walker) would have a canary if he heard you. Aldrin felt that he was the one should have been first to walk on the Moon. He's had to play 2nd fiddle to Armstrong ever since. Ironically, Armstrong's kept a low profile while Buzz has been "dancing with the stars"! Oh, well then I guess I didn't see Neil Armstrong on Dancing With The Stars. I wasn't terribly upset by the news - mostly because the Race to the Moon hasn't been repeated. There hasn't been a point to the space missions for a while - and I think that's why I view this indifferently; it happened, and it still hasn't become more then a piece of history I don't care that much about. However… I don't think this is worth belittling. He was the first man in the moon… the man who became the visual representation of eight and a half years of hard work, from Kennedy promising a man on the moon in 10 years, to putting a man up there in eight and a half. I still think that it was something my generation will never see… this is a special moment, and I think it must be remembered. We haven't had a "man on the moon" type moment in 40 years (43, actually). We need our own moment - our moment that we'll tell our kids exactly where we were when it happened. Mars is out of the question for now (it'll take 3 years to get to Mars with current technology - not feasible), and I don't know if we'll be able to have the type of moment, which we need. My grandparents didn't have that moment - they were too busy fighting a world war. We need a moment where everyone just stops and watchs. I'm sceptical we'll ever have one, tho. I just knew that ITSWD would be posting this news here! RIP Neil. As for the lack of a recent "man on the moon moment", I vaguely recall some jet planes hitting some buildings in New York City awhile back. I meant a "Man On The Moon" moment to be something good and positive. Two middle eastern wars within 2 years is not good or positive. Well, the fall of the Berlin Wall and the election/inauguration of Obama felt like pretty big deals at the time. Maybe not up there with the moon landing, though. Gene Kranz = George Martin"
Very clever! For all these years that I've melded these two topics, it never dawned on me to see who the NASA equivalent of John, Paul, etc... would be. John and Paul = all the Mission Commander astronauts for Mercury, Gemini, and Apollo. George (perhaps a cut below, but still able to make major contributions on a regular basis, e.g. "While My Guitar...") = all the other astronauts. Bill Anders only flew once (Apollo 8) but he still took arguably the most famous picture ever (the whole Earth as seen from Space). Gene "Failure Is Not an Option" Kranz was a great character (my boss in Into the Sky...). But I see him more as Brian Epstein, coordinating all the moving parts to get the show Off The Ground (la la-la la-la). Pete Best = Gus Grissom cut down on the cusp of mega fame. Stu = Bassett and See dead before seeing the slightest glory and known only to true fans. Mr Sun King CT said, "We haven't had a "man on the moon" type moment in 40 years (43, actually). We need our own moment ...We need a moment where everyone just stops and watches. I'm skeptical we'll ever have one"
The good news is that these moments can sneak up on you. If anyone in early '61 had said, "you know, I think the summer of '69 will be one of the greatest ever." You'd have said, "really???" Well yes, of course: The Moon Landing, Woodstock, and Abbey Road all in the space of two months. But in early 1961 no one had ever been in Space, so going to the Moon would have sounded ridiculous; there were no Beatles (except in their own minds), so who would have cared about a recording studio on Abbey Road ; there were no hippies and no Hendrix and no "turning on tuning in and dropping out" so what would Woodstock have meant to anyone? (even the Peanuts Woodstock didn't exist yet, right?). So who knows what the summer of 2020 will bring? Maybe it'll be even greater than the summer of '69! Filled with things we can't even begin to imagine because they don't even exist in embryonic form. Hey, someone's got to get it started!!! Why not you?